SVT has selected Johanna Ander Ljung the winner of Polstjärnepriset, as the Swedish participant in Eurovision Young Musicians 2018. Three months after winning Polstjärnepriset, Johanna Ander Ljung has been confirmed by the Swedish national broadcaster as the countries participant in Eurovision Young Musicians 2018 in Edinburgh, Scotland. Stefan Forsberg, Head of the Stockholm Concert Hall and chairman of the Polstjärnepriset jury, was positive that SVT once again valued what Polstjärnepriset offers to the world of classical music in Sweden and the chance it offers aspiring young musicians. 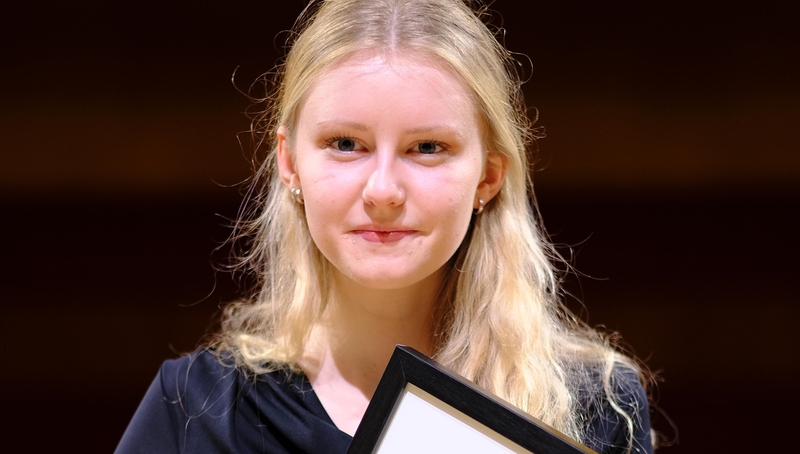 Johanna Andre Ljung was also awarded a prize of 50,000 SEK and a course at the Musikakademi Vänersborg.